#CollegeGirl: Fab Styling Ideas From Our FAV Bollywood Stars! The only place you can explore your individual style to the fullest is when you are in college. This is the time to experiment with your look, hair, outfits and find your ground. But let’s be honest - in your quest to find your personal style, there will be days when you will have absolutely nothing to wear even if you have a closet full of clothes. 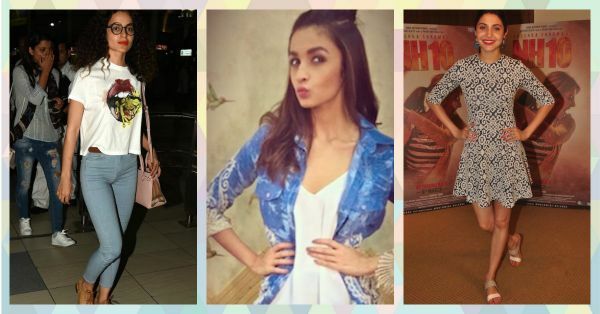 Don’t fret, take cue from these celebs to rock your college outfits! Image: Viral Bhayani If a canvas and a loose top is your style then you should definitely try this look Deepika sported a while ago. Off-shoulder tops are one of the most popular trends we have today and for good reason! They highlight your delicate shoulders and add a flirty feminine element to your ensemble, even if you’re wearing sneakers and baggy jeans. Also read: 8 Simple Styling Rules For EVERY 20-Something Girl! Image: Viral Bhayani Graphic tees have that X factor that gives them the ability to make any and every ensemble ten times cooler. Who better than our favourite fashionista, Kangana, to show us how to nail this look?! Check out how she teams a badass tee with a pair of nerdy glasses. And check out the Oxford shoes! Those shoes are to die for! Fashion inspiration at its best! Also read: 9 Super Styling Tips For The College-Going Girl! Image: Alia Bhatt On Instagram Channel the cutest pin-up girl look in class by wearing a circle midi skirt teamed with brogues or ballet flats. Cinching your outfit at the waist gives your ensemble a structured and neat look. If you think the silhouette is too prim and proper for class, then just pair with a basic tee. 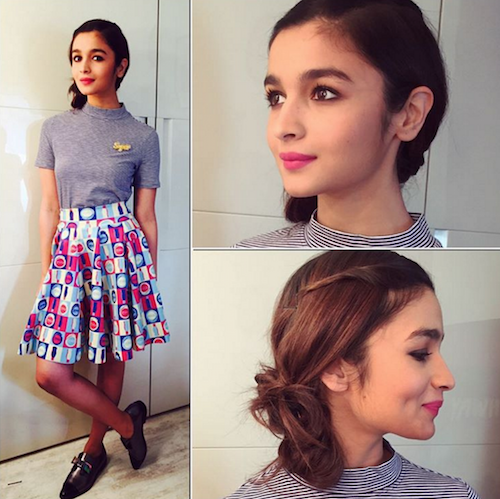 Take a look at how Alia wears her multi-coloured skirt with a gray tee and the cutest brogues. We love! 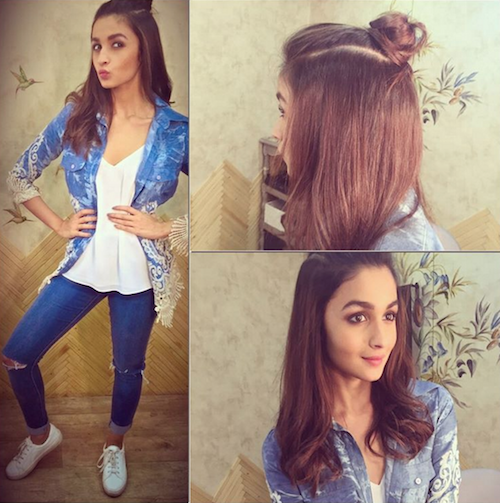 Also read: How To Have The CUTEST Hairstyle Every Day – Just Like Alia! Image: Viral Bhayani An easy way to elevate your style game in college is by simply throwing on the oversized blazer, also known as the Boyfriend Blazer, as a third piece. The relaxed fit of these blazers and the length makes it so versatile and you can wear it with almost anything in your closet. Kalki wears her pinstripe blazer with a graphic tee and finishes off the look with a pair of Oxfords - perfect to survive those long lectures in style! Also read: 25 Wardrobe Essentials You Should Have By The Time You’re 25! Image: Sonam Kapoor On Instagram And last but not the least, the rebellious look that we all want to don at least once during our college days. Typeface t-shirts are everyone’s favourite during college days - whether it’s about your favourite movie or your favourite quote or simply a message you would like to put out there. They have a certain character that just says so much about you and your style. Sonam Kapoor shows you how to do this right by wearing the coolest T-shirt that sums up pretty much how we feel when we have to attend that early morning lecture. Right? Right? Also read: 10 Fashionable Items EVERY College Girl Should Have! HAVE A STORY IDEA FOR POPxo? If you want to hear about it, we can write about it! Just tell us your idea here!